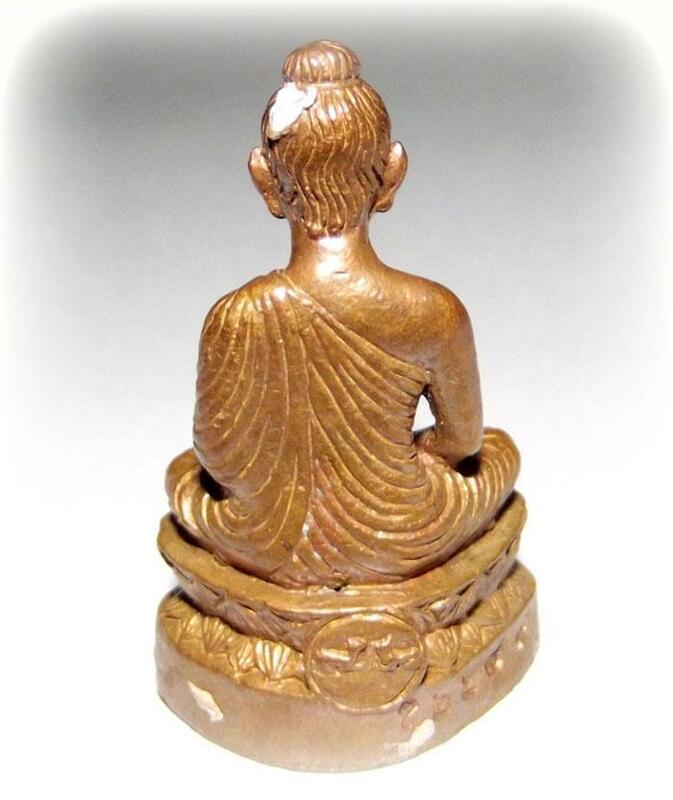 This authentic Buddhist amulet represents the Buddha seated in meditation posture. On the base of the amulet there are the Buddha’s five first disciples depicted. 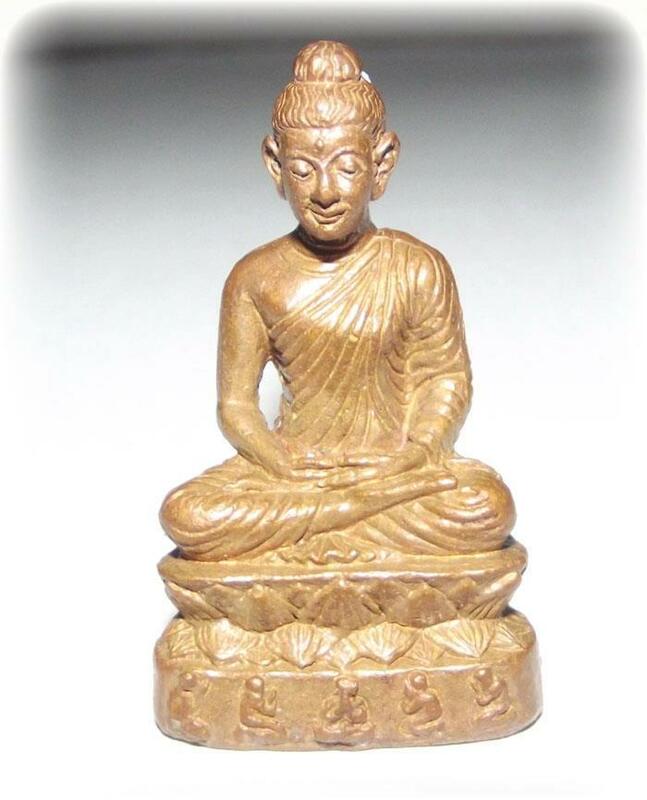 The Buddha image clearly resembles the characteristic features of the traditional art style of Bodhgaya. 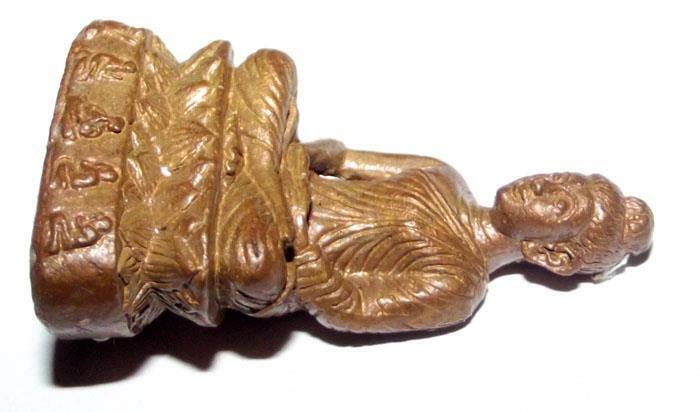 When we take a closer look at the base of the loi ongk statuette, we can see there is a pair of deers on the back of the amulet. The two deers, of course, symbolise the crucial moment of the first sermon the Buddha gave at the Deer Park in Sarnath, whereby he set the Dhammacakka (‘The Wheel of the Buddha’s Teachings’) in motion. Hence, this extraordinary Buddha amulet has invaluable meaning to the true Buddhist practitioner. The Somdej Ongk Pathom loi ongk statuette is cast from sacred bronze mixed with ancient artifacts (‘nuea loha pasom’), and has sacred kammatthana powders, a relic, a gemstone, and pieces of hair of Luang Phu Phad inserted in the base. Various types of gemstones were inserted in the base, and thus may differ in color with each amulet. The classic Somdej Ongk Pathom loi ongk statuettes were released in 2554 BE at Wat Rai Temple in Ang Tong, Thailand. 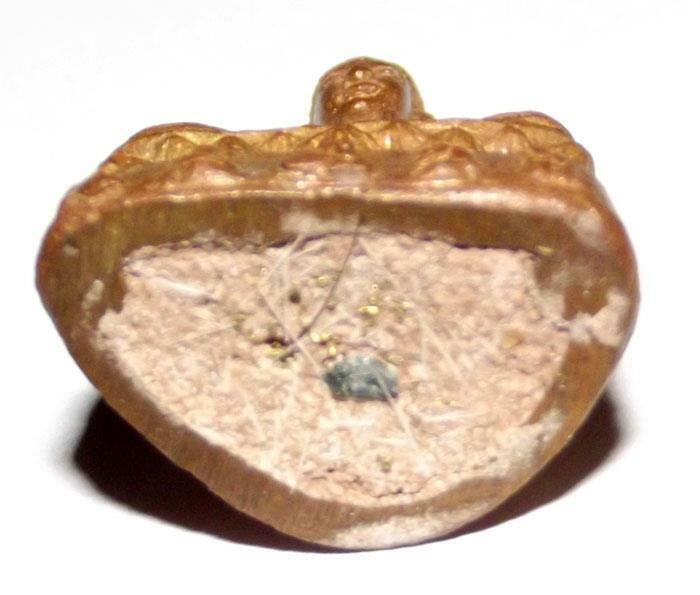 At the time, Wat Rai was in a delipidated state, and thus the first edition of Somdej Ongk Pathom Buddha amulets was released so that the temple could be restored with the donations. The magical qualities of this amulet can bestow blessings of peace and happiness. 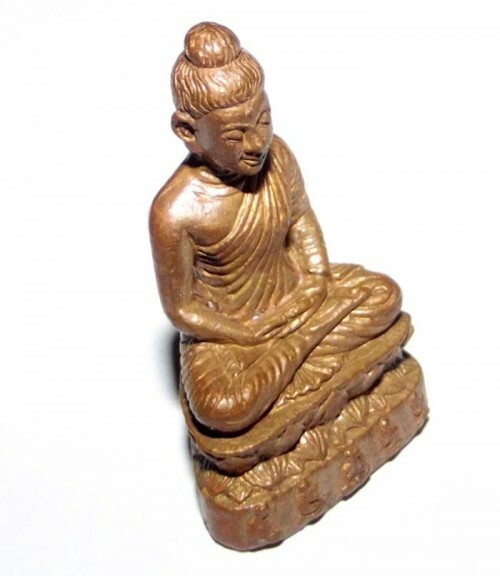 Therefore, it is a most useful amulet for cultivating one’s mind through meditation practice. 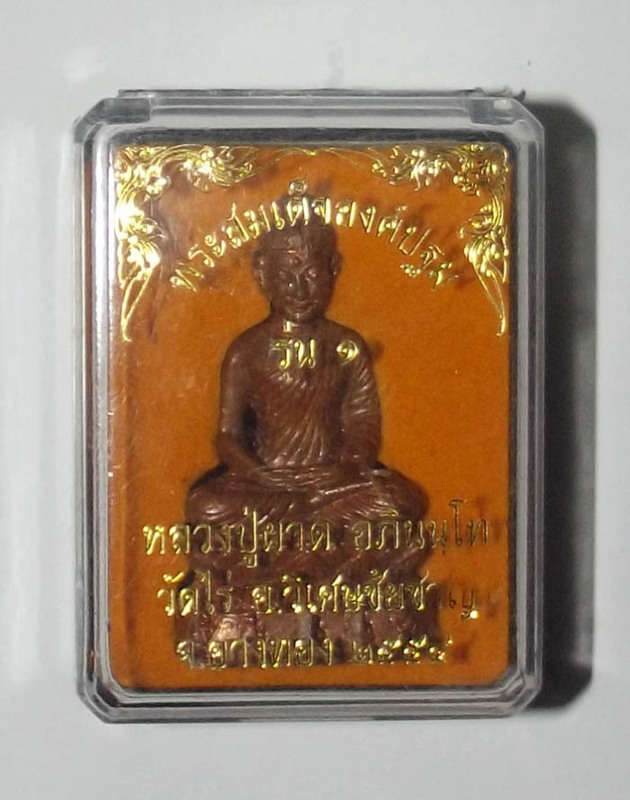 However, the Somdej Ongk Pathom Buddha amulet also serves as a powerful source of inspiration for students of Buddhist Studies and followers of the Buddha Dhamma. The amulet comes in the original box from the temple. 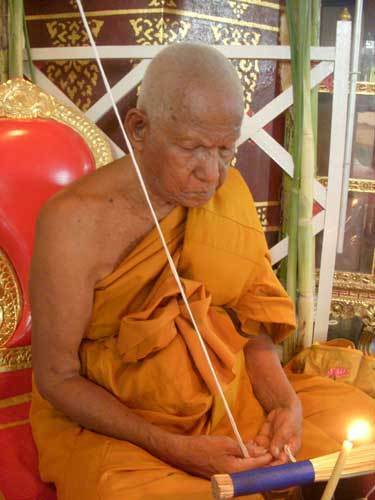 Luang Phu Phad seated in deep meditation whilst consecrating the Somdej Ongk Pathom amulets through transmitting blessings via a magical sai sin cord.